^ The Constitution: Amendments 11–27. U.S. National Archives & Records Administration. [2008-10-01]. ^ Excerpts from "Forgotten Presidents" – The Patriots Handbook, by George Grant. Harrold.org. [2011-08-08]. ^ Cleaves, Freeman. Old Tippecanoe: William Henry Harrison and His Time. C. Scribner's Sons. 1939: 152. ^ Ingersoll, Jared. Death of the President. University of Virginia's Miller Center of Public Affairs. [2010-11-02]. （原始内容存档于2010-10-08）. ^ Russell, Francis. The Shadow of Blooming Grove – Warren G. Harding in His Times. Easton Press. 1962: 591. ISBN 0070543380. ^ Big Ben Parker and President McKinley's Assassination. Math.buffalo.edu. [2011-08-08]. ^ Nixon Resigns. The Washington Post. [2008-12-31]. ^ Obama wins historic US election. BBC. 2008-11-05 [2008-11-05]. ^ 白宫. Biography of George Washington. Whitehouse.gov. 2007-03-12 [2009-01-12]. （原始内容存档于2009-01-22）. ^ George Washington – no Political Party – 1st President – American Presidents. History. [2009-01-12]. （原始内容存档于2009-02-26）. ^ George Washington (February 22, 1732 – December 14, 1799). American Presidents: Life Portraits. C-SPAN. [2009-01-12]. ^ George Washington's views on political parties in America | Washington Times Communities. Communities.washingtontimes.com. 2012-03-09 [2013-01-02]. ^ Biography of John Adams. Whitehouse.gov. 2007-03-12 [2009-01-12]. （原始内容存档于2009-01-22）. ^ John Adams – Federalist Party – 2nd President – American Presidents. History. [2009-01-12]. （原始内容存档于2009-02-25）. ^ John Adams (October 30, 1735 – July 4, 1826). American Presidents: Life Portrait. C-SPAN. [2009-01-12]. ^ Biography of Thomas Jefferson. Whitehouse.gov. 2007-03-12 [2009-01-12]. （原始内容存档于2009-01-22）. ^ Thomas Jefferson – Democratic-Republican Party – 3rd President – American Presidents. History. [2009-01-12]. （原始内容存档于2009-03-05）. ^ Thomas Jefferson (April 13, 1743 – July 4, 1826). American Presidents: Life Portrait. C-SPAN. [2009-01-12]. ^ Biography of James Madison. Whitehouse.gov. 2007-03-12 [2009-01-12]. （原始内容存档于2009-01-22）. ^ James Madison – Democratic-Republican Party – 4th President – American Presidents. History. [2009-01-12]. （原始内容存档于2009-02-26）. ^ James Madison (March 16, 1751 – June 28, 1836). American Presidents: Life Portrait. C-SPAN. [2009-01-12]. ^ James Monroe – Democratic-Republican Party – 5th President – American Presidents. History. [2009-01-12]. （原始内容存档于2009-03-05）. ^ James Monroe (April 28, 1758 – July 4, 1831). American Presidents: Life Portrait. C-SPAN. [2009-01-12]. ^ Biography of John Quincy Adams. Whitehouse.gov. 2007-03-12 [2009-01-12]. （原始内容存档于2009-01-22）. ^ John Quincy Adams – Federalist, Democratic-Republican, National Republican, WHIG Party – 6th President – American Presidents. History. [2009-01-12]. （原始内容存档于2009-03-05）. ^ John Quincy Adams (July 11, 1767 – February 23, 1848). American Presidents: Life Portrait. C-SPAN. [2009-01-12]. ^ Biography of Andrew Jackson. Whitehouse.gov. 2007-03-12 [2009-01-12]. （原始内容存档于2009-01-22）. ^ Andrew Jackson – Democratic-Republican Party – 7th President – American Presidents. History. [2009-01-12]. （原始内容存档于2009-02-24）. ^ Andrew Jackson (March 15, 1767 – June 8, 1845). American Presidents: Life Portrait. C-SPAN. [2009-01-12]. ^ Biography of Martin Van Buren. Whitehouse.gov. 2007-03-12 [2009-01-12]. ^ Martin Van Buren – Democratic-Republican, Democratic, and Free Soil Party – 8th President – American Presidents. History. [2009-01-12]. （原始内容存档于2009-03-05）. ^ Martin Van Buren (December 5, 1782 – July 24, 1862). American Presidents: Life Portrait. C-SPAN. [2009-01-12]. ^ Biography of William Henry Harrison. Whitehouse.gov. 2007-03-12 [2009-01-12]. （原始内容存档于2009-01-22）. ^ William Henry Harrison – WHIG Party – 9th President – American Presidents. History. [2009-01-12]. （原始内容存档于2009-03-05）. ^ William Henry Harrison (February 9, 1773 – April 4, 1841). American Presidents: Life Portrait. C-SPAN. [2009-01-12]. ^ Biography of John Tyler. Whitehouse.gov. 2007-03-12 [2009-01-12]. （原始内容存档于2009-01-22）. ^ John Tyler – No Party – 10th President – American Presidents. History. [2009-01-12]. （原始内容存档于2009-03-05）. ^ John Tyler (March 29, 1790 – January 18, 1862). American Presidents: Life Portrait. C-SPAN. [2009-01-12]. ^ Biography of James Polk. Whitehouse.gov. 2007-03-12 [2009-01-12]. （原始内容存档于2009-01-22）. ^ James Polk – Democratic Party – 11th President – American Presidents. History. [2009-01-12]. （原始内容存档于2009-03-05）. ^ James K. Polk (November 2, 1795 – June 15, 1849). American Presidents: Life Portrait. C-SPAN. [2009-01-12]. ^ Biography of Zachary Taylor. Whitehouse.gov. 2007-03-12 [2009-01-12]. （原始内容存档于2013-10-01）. ^ Zachary Taylor – WHIG Party – 12th President – American Presidents. History. [2009-01-12]. （原始内容存档于2009-03-05）. ^ Zachary Taylor (November 24, 1784 – July 9, 1850). American Presidents: Life Portrait. C-SPAN. [2009-01-12]. ^ Biography of Millard Fillmore. Whitehouse.gov. 2007-03-12 [2009-01-12]. （原始内容存档于2009-01-22）. ^ Millard Filmore – WHIG Party – 13th President – American Presidents. History. [2009-01-12]. （原始内容存档于2009-03-05）. ^ Millard Fillmore (January 7, 1800 – March 8, 1874). American Presidents: Life Portrait. C-SPAN. [2009-01-12]. ^ Biography of Franklin Pierce. Whitehouse.gov. 2007-03-12 [2009-01-12]. （原始内容存档于2009-01-22）. ^ Franklin Pierce – Democratic Party – 14th President – American Presidents. History. [2009-01-12]. （原始内容存档于2009-03-05）. ^ Franklin Pierce (November 23, 1804 – October 8, 1869). American Presidents: Life Portrait. C-SPAN. [2009-01-12]. ^ Biography of James Buchanan. Whitehouse.gov. 2007-03-12 [2009-01-12]. （原始内容存档于2009-01-22）. ^ James Buchanan – Democratic Party – 15th President – American Presidents. History. [2009-01-12]. （原始内容存档于2009-03-05）. ^ James Buchanan (April 23, 1791 – June 1, 1868). American Presidents: Life Portrait. C-SPAN. [2009-01-12]. ^ Biography of Abraham Lincoln. Whitehouse.gov. 2007-03-12 [2009-01-12]. （原始内容存档于2009-01-22）. ^ Abraham Lincoln – Republic, National Union Party – 16th President – American Presidents. History. [2009-01-12]. （原始内容存档于2009-02-24）. ^ Abraham Lincoln (February 12, 1809 – April 15, 1865). American Presidents: Life Portrait. C-SPAN. [2009-01-12]. ^ Biography of Andrew Johnson. Whitehouse.gov. 2007-03-12 [2009-01-12]. （原始内容存档于2009-01-22）. ^ Andrew Johnson – National Union Party – 17th President – American Presidents. History. [2009-01-12]. （原始内容存档于2009-03-05）. ^ Andrew Johnson (December 29, 1808 – July 31, 1875). American Presidents: Life Portrait. C-SPAN. [2009-01-12]. ^ Biography of Ulysses S. Grant. Whitehouse.gov. 2007-03-12 [2009-01-12]. （原始内容存档于2009-01-22）. ^ Ulysses S. Grant – National Union Party – 18th President – American Presidents. History. [2009-01-12]. （原始内容存档于2009-03-05）. ^ Ulysses S. Grant (April 27, 1822 – July 23, 1885). American Presidents: Life Portrait. C-SPAN. [2009-01-12]. ^ Biography of Rutherford B. Hayes. Whitehouse.gov. 2007-03-12 [2009-01-12]. （原始内容存档于2009-01-22）. ^ Rutherford B. Hayes – Republican Party – 19th President – American Presidents. History. [2009-01-12]. （原始内容存档于2009-03-05）. ^ Rutherford B. Hayes (October 4, 1822 – January 17, 1893). American Presidents: Life Portrait. C-SPAN. [2009-01-12]. ^ Biography of James Garfield. Whitehouse.gov. 2007-03-12 [2009-01-12]. （原始内容存档于2009-01-22）. ^ James Garfield – Republican Party – 20th President – American Presidents. History. [2009-01-12]. （原始内容存档于2009-03-05）. ^ James A. Garfield (November 19, 1831 – September 19, 1881). American Presidents: Life Portrait. C-SPAN. [2009-01-12]. ^ Biography of Chester Arthur. Whitehouse.gov. 2007-03-12 [2009-01-12]. （原始内容存档于2009-01-22）. ^ Chester A. Arthur – Republican Party – 21st President – American Presidents. History. [2009-01-12]. （原始内容存档于2009-03-05）. ^ Chester A. Arthur (October 5, 1829 – November 18, 1886). American Presidents: Life Portrait. C-SPAN. [2009-01-12]. ^ 75.0 75.1 Grover Cleveland – Democratic Party – 22nd and 24th President – American Presidents. History. [2009-01-12]. （原始内容存档于2009-03-05）. ^ 76.0 76.1 Grover Cleveland (March 18, 1837 – June 24, 1908). American Presidents: Life Portrait. C-SPAN. [2009-01-12]. ^ Biography of Benjamin Harrison. Whitehouse.gov. 2007-03-12 [2009-01-12]. （原始内容存档于2009-01-22）. ^ William Henry Harrison – Whig Party – 23rd President – American Presidents. History. [2009-01-12]. （原始内容存档于2009-02-25）. ^ Benjamin Harrison (August 20, 1833 – March 13, 1901). American Presidents: Life Portrait. C-SPAN. [2009-01-12]. ^ Biography of William McKinley. Whitehouse.gov. 2007-03-12 [2009-01-12]. （原始内容存档于2009-01-22）. ^ William McKinley – Republican Party – 25th President – American Presidents. History. [2009-01-12]. （原始内容存档于2009-03-05）. ^ William McKinley (January 29, 1843 – September 14, 1901). American Presidents: Life Portrait. C-SPAN. [2009-01-12]. ^ Biography of Theodore Roosevelt. Whitehouse.gov. 2007-03-12 [2009-01-12]. （原始内容存档于2009-01-22）. ^ Theodore Roosevelt – Republican, Bull Moose Party – 26th President – American Presidents. History. [2009-01-12]. （原始内容存档于2009-02-26）. ^ Theodore Roosevelt (October 27, 1858 – January 6, 1919). American Presidents: Life Portrait. C-SPAN. [2009-01-12]. ^ Biography of William Howard Taft. Whitehouse.gov. 2007-03-13 [2009-01-12]. （原始内容存档于2009-01-22）. ^ William Howard Taft – Republican Party – 27th President – American Presidents. History. [2009-01-12]. （原始内容存档于2009-03-05）. ^ William Howard Taft (September 15, 1857 – March 8, 1930). American Presidents: Life Portrait. C-SPAN. [2009-01-12]. ^ Biography of Woodrow Wilson. Whitehouse.gov. 2007-03-13 [2009-01-12]. （原始内容存档于2009-01-22）. ^ Woodrow Wilson – Democratic Party – 28th President – American Presidents. History. [2009-01-12]. （原始内容存档于2009-03-05）. ^ Woodrow Wilson (December 28, 1856 – February 3, 1924). American Presidents: Life Portrait. C-SPAN. [2009-01-12]. ^ Biography of Warren G. Harding. Whitehouse.gov. 2007-03-12 [2009-01-12]. （原始内容存档于2009-01-22）. ^ Warren Harding – Republican Party – 29th President – American Presidents. History. [2009-01-12]. （原始内容存档于2009-03-05）. ^ Warren G. Harding (November 2, 1865 – August 2, 1923). American Presidents: Life Portrait. C-SPAN. [2009-01-12]. ^ Biography of Calvin Coolidge. Whitehouse.gov. 2007-03-13 [2009-01-12]. （原始内容存档于2009-01-22）. ^ Calvin Coolidge – Republican Party – 30th President – American Presidents. History. [2009-01-12]. （原始内容存档于2009-03-05）. ^ Calvin Coolidge (July 4, 1872 – January 5, 1933). American Presidents: Life Portrait. C-SPAN. [2009-01-12]. 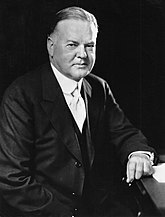 ^ Biography of Herbert Hoover. Whitehouse.gov. 2007-03-13 [2009-01-12]. （原始内容存档于2011-09-15）. ^ Herbert Hoover – Republican Party – 31st President – American Presidents. History. [2009-01-12]. （原始内容存档于2009-03-05）. ^ Herbert Hoover (August 10, 1874 – October 20, 1964). American Presidents: Life Portrait. C-SPAN. [2009-01-12]. ^ Biography of Franklin D. Roosevelt. Whitehouse.gov. 2007-03-20 [2009-01-12]. （原始内容存档于2013-10-18）. ^ Franklin D. Roosevelt – Democratic Party – 32nd President – American Presidents. History. [2009-01-12]. （原始内容存档于2009-02-25）. ^ Franklin D. Roosevelt (January 30, 1882 – April 12, 1945). American Presidents: Life Portrait. C-SPAN. [2009-01-12]. ^ Biography of Harry S Truman. Whitehouse.gov. 2007-03-12 [2009-01-12]. （原始内容存档于2009-01-22）. ^ Harry S Truman – Democratic Party – 33rd President – American Presidents. History. [2009-01-12]. （原始内容存档于2009-02-25）. ^ Harry S Truman (May 8, 1884 – December 26, 1972). American Presidents: Life Portrait. C-SPAN. [2009-01-12]. ^ Biography of Dwight D. Eisenhower. Whitehouse.gov. 2007-03-12 [2009-01-12]. （原始内容存档于2009-01-22）. ^ Dwight D. Eisenhower – Democratic Party – 34th President – American Presidents. History. [2009-01-12]. （原始内容存档于2009-02-27）. ^ Dwight D. Eisenhower (October 14, 1890 – March 28, 1969). American Presidents: Life Portrait. C-SPAN. [2009-01-12]. ^ Biography of John F. Kennedy. Whitehouse.gov. 2007-03-12 [2009-01-12]. （原始内容存档于2009-01-22）. ^ John F. Kennedy – Democratic Party – 35th President – American Presidents. History. [2009-01-12]. （原始内容存档于2009-02-26）. ^ John F. Kennedy (May 29, 1917 – November 22, 1963). American Presidents: Life Portrait. C-SPAN. [2009-01-12]. ^ Lyndon B. Johnson – Democratic Party – 36th President – American Presidents. History. [2009-01-12]. （原始内容存档于2009-02-26）. ^ Lyndon B. Johnson (August 27, 1908 – January 22, 1973). American Presidents: Life Portrait. C-SPAN. [2009-01-12]. ^ Richard M. Nixon. Whitehouse.gov. 2007-03-12 [2009-01-12]. （原始内容存档于2009-01-22）. ^ Richard Nixon – Republican Party – 37th President – American Presidents. History. [2009-01-12]. （原始内容存档于2009-02-25）. ^ Richard M. Nixon (January 9, 1913 – April 22, 1994). American Presidents: Life Portrait. C-SPAN. [2009-01-12]. ^ Biography of Gerald R. Ford. Whitehouse.gov. 2007-03-12 [2009-01-12]. （原始内容存档于2009-01-22）. ^ Gerald Ford – Republican Party – 38th President – American Presidents. History. [2009-01-12]. （原始内容存档于2009-03-05）. ^ Gerald R. Ford (July 14, 1913 – December 26, 2006). American Presidents: Life Portrait. C-SPAN. [2009-01-12]. ^ Biography of Jimmy Carter. Whitehouse.gov. 2007-03-12 [2009-01-12]. （原始内容存档于2009-01-22）. ^ Jimmy Carter – Democratic Party – 39th President – American Presidents. History. [2009-01-12]. （原始内容存档于2009-03-05）. ^ Jimmy Carter (October 1, 1924 – ). American Presidents: Life Portrait. C-SPAN. [2009-01-12]. ^ Biography of Ronald Reagan. Whitehouse.gov. 2008-06-25 [2009-01-12]. （原始内容存档于2009-01-22）. ^ Ronald Reagan – Republican Party – 40th President – American Presidents. History. [2009-01-12]. （原始内容存档于2009-03-05）. ^ Ronald Reagan (February 6, 1911 – June 5, 2004). American Presidents: Life Portrait. C-SPAN. [2009-01-12]. ^ Biography of George Herbert Walker Bush. Whitehouse.gov. 2007-03-12 [2009-01-12]. ^ George H. W. Bush – Republican Party – 41st President – American Presidents. History. [2009-01-12]. （原始内容存档于2009-03-05）. ^ George Bush (June 12, 1924 – ). American Presidents: Life Portrait. C-SPAN. [2009-01-12]. ^ Biography of William J. Clinton. Whitehouse.gov. 2007-03-12 [2009-01-12]. （原始内容存档于2009-01-22）. ^ Bill Clinton – Democratic Party – 42nd President – American Presidents. History. [2009-01-12]. （原始内容存档于2009-02-25）. ^ Bill Clinton (August 19, 1946 – ). American Presidents: Life Portrait. C-SPAN. [2009-01-12]. ^ Biography of President George W. Bush. Whitehouse.gov. 2007-02-25 [2009-01-12]. （原始内容存档于2009-06-26）. ^ George W. Bush – Republican Party – 43rd President – American Presidents. History. [2009-01-12]. （原始内容存档于2009-02-25）. ^ George W. Bush (July 6, 1946 – ). American Presidents: Life Portrait. C-SPAN. [2009-01-12]. ^ President Barack Obama. Whitehouse.gov. 2009-01-20 [2009-01-20]. （原始内容存档于2009-01-22）. ^ Barack Obama – Democratic Party – 44th President – American Presidents. History. [2009-01-12]. （原始内容存档于2009-02-25）. ^ Barack Obama (August 4, 1961 – ). American Presidents: Life Portrait. C-SPAN. [2009-01-12].